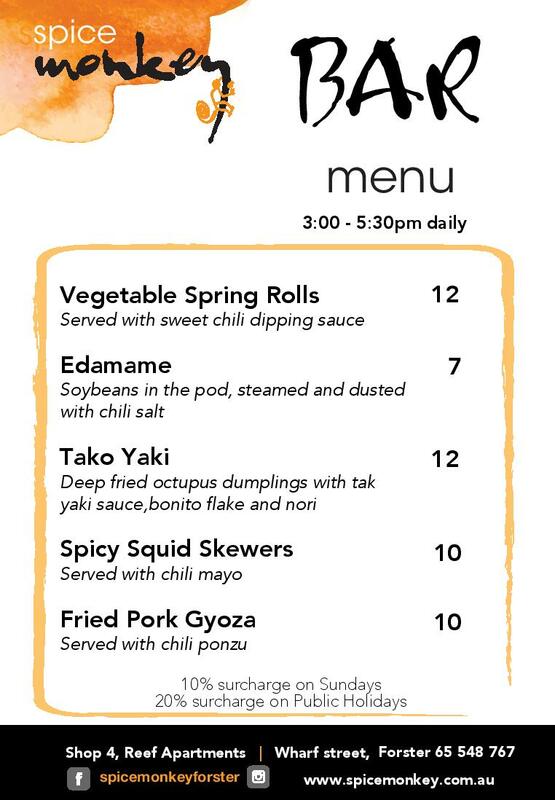 Bar Snack Menu Special is available Monday to Sunday from 3 – 5:30 pm 7 days a week! Happy Hour at Spice Monkey, 4pm – 6pm Everyday. Happy Hour Tap Beer, $4 House Wine, $8 Cocktail of the day. We like to add a little spice to your bar and dining adventure and we’re sure you will enjoy the diverse flavours and vibrant atmosphere when you come to visit us. Spice Monkey is a balance of modern and traditional Asian cuisine with a strong Japanese influence with its unique sushi bar. Spice Monkey brings a new vibrancy to Forster restaurants with our large outdoor share-table overlooking the pristine Wallis Lake or inside at our large or round booth tables seating up to 12 and 6 people. Our inside bar area is another unique feature of Spice Monkey, perfect for catching up with friends over cocktails (or full teapot cocktails if you prefer! ), canape functions or simply eating sushi and watching the dolphins go by. Be sure to try our very own Monkey Magic beer on tap, as well as a huge range of international and craft beers while you’re at the bar! Treat yourself to our unique and dynamic culinary experience and enjoy the mouthwatering creations delicately prepared by our highly skilled chefs. 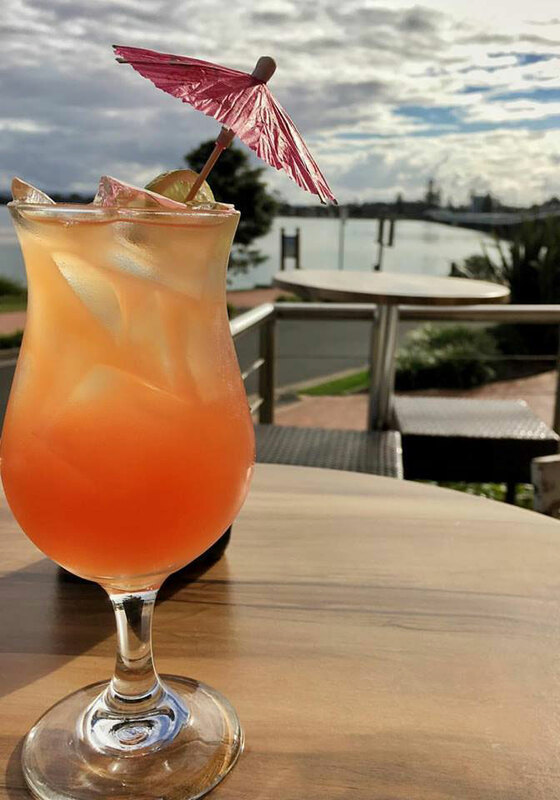 Our soulful sounds every Friday evening from 5:30 pm provide the perfect accompaniment to your meals as you sit back and relax watching the magnificent sunset over Wallis Lake. Spice Monkey, reigning ‘Number 1 on TripAdvisor’ since its inception in 2015, looks forward to seeing you soon.